1. Women and men under the age of 18 and over the age of 40 can leave Gaza for Egypt without a special permit, while others will require a visa. 2. The agreement between Egypt and Hamas to open the border is in violation to the Israeli-Egyptian peace agreement, which maintains that Israel must be party to such decisions. 3. Some Israeli military and academic experts are claiming an open border between Gaza and Egypt will potentially take the pressure off Israel to sustain Gaza's needs, and allow emigration from Gaza, relieving the overpopulation there. Most, however, see the move as a clear advancement in Hamas-Egypt relations and the success of Hamas pressure on the Egyptian government. Hamas needs more sophisticated weapons for its crusade against Israel, and the Muslim Brotherhood in Egypt is eager to help now that Mubarak is out the way. In fact, in 2007, George Friedman of STRATFOR predicted that Hamas' deadlock in its struggle with Israel requires it to reach out to radical forces in Egypt. 4. Zvika Fogel, the chief of staff of the Southern Command of the IDF during the Second Intifada, has warned that the opening of the Rafah border with Egypt in a dangerous development and that Israel must remain involved in this border. Unchecked, this border could mean free passage for members of groups hostile to Israel such as Al Qaeda and Hezbollah to use Gaza as a launching pad, turning Gaza into a real terrorist state (r"l). Fogel even warned that the opening of the border could enable Hamas to smuggle Gilad Shalit into Sinai (h"v). Personally, I believe Mashiach has not arrived yet because Hashem is waiting for a new kind of ba'al teshuva. I have had these thoughts for some time now, mostly inspired by the Hebrew writings of Rabbi Yiztchak Ginsburg, specifically those written by his student Yisrael Ariel, such as Rucho Shel Mashiach, Muda'ut Tiv'it (Natural Consciousness), Tom Va'Daat (Innocence and Knowledge), and more. When I learned about Franz Rosenzweig in class last week, my thinking crystallized one step further. Franz Rosenzweig was born to an assimilated German family. He was on the verge of abandoning Judaism entirely, and had a conversation one evening with his Christian theologian friend in which he resolved to once and for all make the jump and convert to Christianity. Several members of his family and many German Jews had already chosen this route. He informed his mother of his decision, and although she in no way supported a traditional Jewish lifestyle, she was infuriated. On Yom Kippur Rosenzweig sought once more to attend synagogue in order to bid farewell to his born faith. However, his mother refused to let him set foot in their temple as a result of his recent decision. And so, Rosenzweig resolved to spend what he conceived of his last Yom Kippur as Jew in Berlin, alone. On Erev Yom Kippur, Rosenzweig found his way to a shteibl of Eastern European Jews (possibly Hasidim), and there experienced a profound transformation. The experience of prayer amidst a traditional community produced an experience for him which penetrated his soul deeper than any logical, rational theological discussion. After this Yom Kippur, Rosenzweig resolved to remain a Jew, and dedicated the rest of his life to contemplating Jewish texts and attempting to salvage Judaism from the misconceptions which plagued it as a result of its conflation with Christianity as a result of assimilation. Rosenzweig is the first modern ba'al teshuva. Prior to this, ba'al teshuva was a term for a person who grew up in a traditional lifestyle, who sinned or abandoned the path, and then returned. 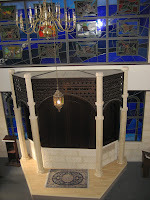 The experience however of growing up in a secular, scientific world foreign to authentic Judaism, and then discovering a kernel of truth on the background of a godless lifestyle, was a uniquely modern phenomenon. On the deepest level of reality (even though it is also because of our avonoteinu harabim), I believe Hashem orchestrated world history out of a desire for this discovery anew, and the uniting of opposites that it can produce. Judaism had become so tainted by millenia of exile, that in order to grasp its essence, one needed to come from something completely foreign and embrace it anew, from a place of choice. When asked if he donned tefillin, Rosenzweig would answer "not yet". He was not a Reform Jew, in the sense that he was not about to create an alternative lifestyle based on his inability to don tefillin, on the fact that at this particular point and time in his lifetime, as a result of his particular circumstances, he could not bring himself to fulfill this daily obligation. Halakhah was real; he was what needed to evolve, adapt and change. Rosenzweig gave the following metaphor: Halakhah is like a house in which he wants to dwell; for the time being, he is in a tent, which he is continuously re-pitching closer and closer to the house. However, he is not willing to leave the tent, and enter the house immediately. In the way I understand it, bringing the tent ever closer to the house, rather than abandoning one's tent and jumping into the house all at once, represents the path of a ba'al teshuva to authentically enter the world of Torah and mitzvot in a genuine way that does not deny the depth of one's own personality. As precious as a victory on this path can be, it also means living in an ever-precarious state of imperfection; if a person is truly honest with oneself along this path, he or she is one is almost but not quite living with the ultimate truth as he or she knows it deep inside. This can be an incredibly difficult stance to maintain psychologically. For this reason, many slide one way or the other: On the one hand, many decide to do away with the house, and reason that if it's so difficult to draw one's tent close to the house, it must mean that the house is not real, and that whatever I can do in my own tent must be ultimate. On the other hand, many flee their tent so rapidly that they enter the house with everything but their own inner voice. Every thought of teshuva is infinitely holy in Hashem's eyes, and no yearning for holiness should be disregarded, as it comes from the highest worlds, the world that preceded this world. At the same time, there is something if not equally compelling about a person like Rosenzweig's commitment to his own inner integrity, and the belief behind this commitment that his own inner integrity and halakhah are intimately connected, even if it might take a lifetime (or more) to discover. If every ba'al teshuva that is confronted with the undeniable, world-shattering experience of Hashem's reality and the call of Torah and mitzvot, if every such individual stayed exactly in the place that he or she is, and attempted to explain to others around them in the most human and genuine of terms what one is experiencing, what ripples could be made? Of course, Hashem is in charge, and anyone who feels called to dive into the furthest reaches of teshuva, Hashem will surely do His part in repaying this individual and inspiring others around him. We need not make plans for Hashem. However, looking at the state of the world today, and the eerie silence that stands between seas of baaley teshuva and seas of secular bubbles, I have to ask, are there not people who have the courage to have one foot in each world? Do others have experiences or insights relating to the question of how to do teshuva at such a pace that it remains authentic? Is remaining authentic to one's inner voice simply a modern concept, or is this a reasonable guideline from within Torah? I seek those who question, not only those who answer. According to The Hill, Democratic senators are likely to support a new resolution which would show broad, bipartisan consensus within Congress that the 1967 Israeli-Palestinian borders are not only "indefensible", but also contrary to U.S. national security interests. Senators Joe Lieberman (Conn., Independent), and Orrin Hatch (R-Utah) are behind the current resolution. Sen. Ben Cardin (D-Md.) voiced support, claiming there is “total agreement” in Congress that “the ’67 lines will not work." Other rebukes of Obama's reckless Israel policy include speeches delivered by Senate Majority Leader Harry Reid (D-Nev.) speech at AIPAC on Monday and House Democratic Whip Steny Hoyer (Md.) at the AIPAC conference on Sunday and Monday. Both offered harsh criticism of Obama's hubris of determining borders of a sovereign nation on a podium rather than on the negotiation table. How’s this prescription for solving our conflict (illegal immigrants and drugs) with Mexico: Renegotiate the border, starting with where the line stood in 1844 (i.e. before we acquired a large chunk of territory in the Mexican War). Or here’s a suggestion for resolving problems between Washington and Paris: renegotiate the western U.S. border based on geographic lines in effect in 1802, before the Louisiana Purchase. While we’re at it, let’s return to the geography of July 1861, just after the Confederate states declared their independence but before the Civil War set things back to right. Hey, why not? Overturning established borders to return to a previous line of demarcation sounds like a good idea, especially for those unhappy with the status quo. ...The U.S. would never agree to go back to previous borders, no matter how much other parties might promise that doing so would bring peace to the Southwest or improve relations with France or South Carolina. But the analogy breaks down for other reasons – instructive reasons as we think about how the Palestinians are determined to destroy Israel. First, none of the examples at the beginning of this post asks the U.S. to surrender part of Washington, D.C., the political (and emotional) seat of our government. But the “pre-1967” borders that President Obama wants Israel to return to would require the Jewish state to hand over part of Jerusalem, the political, emotional and spiritual heart of Israel. Second, Americans would certainly feel bad about handing over part of the Southwest to Mexico. But no one can credibly claim that doing so would make it nearly impossible to defend what remained of our nation. Not so were Israel to give up the territories it won – in a defensive war – against its assembled enemies nearly a half-century ago. Some commentators have pointed to Israel’s success in defending itself in 1967 as “proof” that Israel could repeat that military success, if worse came to worse. But having succeeded once before, under remarkable circumstances, is not a solid security strategy. Third, none of my examples of territorial “givebacks” would be a first step to an ultimate goal of destroying the United States. Again, we would regret losing Texas and part of California, but the U.S. would remain standing. Mexico accepts the U.S.’s right to exist. ...It seems clear that demanding that negotiations start from Israel’s pre-1967 borders will not bring peace. Instead, Palestinian leaders, flush with a “pre-1967” victory, would establish a Palestinian state, and then make their next demand. They would demand a return to the area’s pre-1948 borders – that is, a return to the days before Israel became a new nation. May 12, 2011: Palestinian Prime Minister Salam Fayyad declares Palestinians have created all conditions for establishing a Palestinian state. “The mission has been accomplished." "We presented our plan in August 2009 to enable setting up a state in September 2011. But already on April 13, at the donor states’ meeting in Brussels, the UN, the World Bank and the International Monetary Fund stated that we crossed the statehood line. Our vision had become a reality." “I imagine myself celebrating our Independence Day in Jerusalem, in the east of the city, in the heart of the Old City." Palestinian independence day, in the heart of the Old City? Palestinian Prime Minister Salam Fayyad suffered a heart attack while visiting the U.S. and is recovering at a Texas hospital, a spokesman said Monday. ...Fayyad has developed close ties with Western leaders, who would like him to stay on as prime minister. The Palestinians receive hundreds of millions of dollars in foreign aid every year, and Fayyad has won praise for his efforts to build a Palestinian state from the ground up. It's not just the geography. It's the topography. When you look at maps of the Middle East, you see at once that pre-1967 Israel was very narrow -- just nine miles across. The Dallas-Fort Worth International Airport stretches wider than that. But what you do not so easily see is that pre-1967 Israel was low as well as narrow. Israel emerged from the 1948-49 Arab invasions holding the coastal plain along the Mediterranean. The invaders grabbed and held the highlands between the plain and the Jordan River Valley. Those highlands rise almost 3,000 feet above the coastal plain. Whoever controls them can shower missiles and rockets upon Israel's cities and factories -- with much greater accuracy and lethality and much less vulnerability to retaliation from ground forces than a rocket fired from level ground. Israel experienced such a barrage in the three years leading up to the 2008 Gaza war. Thousands of rockets were fired from Gaza into southwestern Israel. Southwestern Israel is relatively lightly settled, so most of the rockets exploded without killing anyone. Even so, Israel suffered 16 killed and dozens wounded by rocket fire between 2005 and 2008. Had those rockets been fired into central Tel Aviv -- or against the runways of Ben Gurion Airport -- they would have inflicted horrific human and economic damage. Holding the highlands matters for external as well as internal security. The West Bank boundary with Jordan extends for almost 100 kilometers (more than 60 miles). Yet in all that length, Israeli military experts assess that there only three routes across which an armed force can travel. Whoever holds those controls land access to Israel from the east. At 1 a.m. Israel time Motzei Lag Baomer, just as the speakers turned off in Meron after a million people made pilgrimage to the gravesite of Rabbi Shimon Bar Yochai, and precisely the day after the world was supposed to end and "believers" were meant to be saved, a mile-wide tornado with a rank of EF4 (attributed to less than 1% of all tornadoes) ripped through the town of Joplin, Missouri, a major commercial, medical and cultural hub of the Southerastern United States, killing at least 116 people and leaving entire neighborhoods flattened and 30% of the town destroyed, including the town's hospital, where patients had to be evacuated. Many are reported as still trapped in destroyed homes. Lag BaOmer is Saturday night and Sunday. See Zchus Avos for segulas for Lag BaOmer, here for the story of Rabbi Shimon bar Yochai, and here to send a prayer to Meron and to donate food and mashke to the chassidim who will be praying, dancing and celebrating throughout the weekend Rabbi Shimon's kever. On Wednesday the US announced sanctions against Syrian President Bashar Assad and six other Syrian government officials, after over 800 people have been killed in the regime's repression of democratic protests. found the actions of the Government of Syria constitute an unusual and extraordinary threat to the national security, foreign policy, and economy of the United States and declared a national emergency to deal with that threat. Extraordinary threat to the national security of the United States? Declaration of a national emergency? Couple that with the National Defense Authorization act, and it sounds like someone's clearing the way for another war. When a Jew confronts a difficult situation in life, s/he is commanded to turn to God and ask for help (Maimonides, Laws of Prayer). At the same time, if, after praying we nonetheless encounter hardship, we must remain steadfast in our belief that whatever God does is for the good. In fact in the very same moment a Jew Whatever our circumstances may be, we must them with joy, and at the very same moment a Jew must accept his present circumstances with joy, and ask and trust that these circumstances be transformed into tangible, revealed good. This is the essence of complete trust in God. Clinton: "We will be taking additional steps in the days ahead." Ashton: "We need to consider all of the options, and I think there will be a number of moves in the coming hours and days that you will see." The first obstacle to a Libya-style attack will be getting past the China and Russia veto at the U.N. The second will be a decision of the West to intervene despite the fact that a military intervention could flare up the region by aggravating Syria's close ally, Iran. 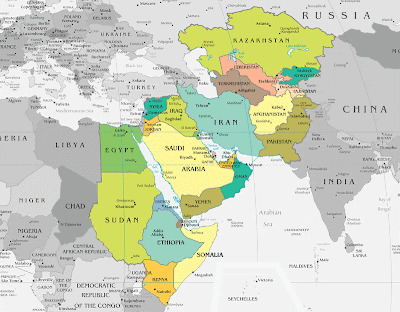 Iran, a Shia power, is closely related to the Shia minority currently ruling the Sunni majority in Syria. It will be difficult for Israel to stay out of such a conflict, whether through the US seeking its help--whether overt or covert--or through elements in Syria or its allies lashing out on the US ally (G-d forbid). On the other hand, the situation in Syria now is untenable both from a human rights perspective and because if Assad is losing his grip, it is better if the US is involved in one way or another. I have a source who is saying that Am Yisrael will all do teshuva very soon, after witnessing a big miracle, that Hashem will save the entire country in a big way. People will run to do mitzvot and seek knowledge of Torah like crazy. May Am Yisrael do teshuva from ahava (love) and bechira (choice) with no delay and may we witness our enemies' fall by the hand of God for the sake of His glory! The harsh prophecy concerning Damascus; Behold Damascus shall be removed from [being] a city, and it shall be depth of ruins. The cities of Aroer shall be abandoned; for the flocks shall they be, and they shall lie undisturbed. And a fortress shall cease from Ephraim and a kingdom from Damascus, and the remnant of Aram; like the glory of the children of Israel shall they be, says the Lord of Hosts. And it shall come to pass on that day, that the glory of Jacob shall become impoverished and the fatness of his flesh shall become emaciated. And it shall be like gathering the harvest of the standing grain, and his arm reaps ears, and he shall be as one who gathers ears of grain in the valley of Rephaim. And gleanings shall be left in it like the cutting of an olive tree, two or three berries at the end of the uppermost bough; four or five on its branches when it produces fruit, says the Lord, God of Israel. On that day, man shall turn to his Maker, and his eyes shall look to the Holy One of Israel. And he shall not turn to the altar of the work of his hands, and what his fingers made he shall not regard, neither the asherim nor the sun-images. For you forgot the God of your salvation, and the Rock of your strength you did not remember; because I planted you with pleasant saplings, and with the branch of a stranger you sow it. Woe to a multitude of many peoples, like the roaring of seas they roar; and a rushing of nations, like the rushing of mighty waters they rush. Nations, like the rushing of many waters, they rush, and He shall rebuke them, and he shall flee from afar, and he shall be pursued like the chaff of the mountains before the wind, and like the thistle blossoms before the tempest. At eventide, behold there is fright; before morning he is no more. This is the portion of our plunderers and the lot of our spoilers. Thousands of Syrians marched Monday night in Damascus demanding an overthrow of the Assad regime. The demonstration, which is the largest in weeks, is being held at night in order to avoid government clampdown during daytime hours. See here for rare reports by Syrians who escaped to Lebanon and Jordan. An engine on a Cathay Pacific flight from Singapore to Jakarta caught fire early Tuesday morning, forcing an emergency landing in Singapore. The plane and all 136 passengers landed safely, but not before praying together for their lives. ...Pradipta, 15, said he saw nothing as he peered out the window. "Behind us, passengers were praying: 'God, save our flight! Give us your protection!'" The prayers got louder and louder, pierced by only the occasional cry of panic. "A stewardess told us an engine had caught fire and we were on our way back to Singapore. Glued to the window, my son said he could see lights, the sea and ships and then lights on the ground. We all grabbed life jackets from beneath our seats, but the plane landed smoothly. Last week, the U.S. experienced three separate security scares on domestic flights. The week before, Israel grounded all flights after jet fuel was found to be contaminated. Something is going on with fuel and air travel worldwide. One thing is for sure: nothing is to be taken for granted; in the air or by sea, we are utterly and completely in Hashem's hands. They went up to the heavens, they came down to the depths; their soul melted with trouble. They were frightened and staggered like a drunkard, and all their wisdom was destroyed. They cried out to the Lord from their distress, that He take them out of their straits. The tempest He had set up [settled] into a calm, and their waves were stilled. They rejoiced that they were stilled, and He led them to the region of their desire. They shall thank the Lord for His kindness, and for His wonders to the children of men. And they shall exalt Him in an assembly of people, and in a sitting of elders, praise Him. 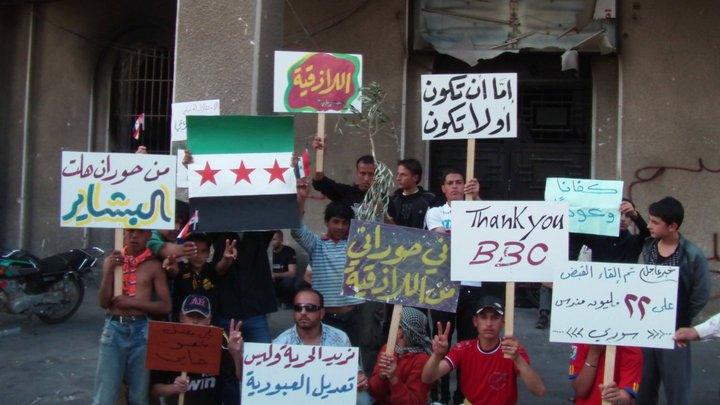 In Syria, foreign, local and online media are virtually absent as a result of unprecedented government clampdown on protest activity. The latest source of information is from Syrian refugees who have fled to other parts of the Arab world, both for their own safety and in order to spread the message about the atrocities occurring in their homeland. On Sunday, Syria shelled towns near the Lebanese border, and on Monday, Syrian moved tanks into rural areas near the Lebanese border, its latest focus in suppressing countrywide protests. As a result of the deteriorating security situation near the Syrian-Lebanese border, many Syrians have fled to Lebanon in recent days. According to Al Jazeera, 5,000 Syrians have fled to Lebanon since protests began. "The situation ... is catastrophic,'' said Ahmad, 55, who crossed the border into Lebanon overnight Monday and asked to be identified only by his first name. "If you walk in the streets of Talkalakh [Syrian border town shelled on Sunday] you can smell the dead bodies,'' he said. Authorities justified the siege by saying the town was full of Islamic extremists who wanted to form an Islamic state, residents told the AP news agency. One resident said the conflict in Talkalakh had taken on dangerous sectarian tones. Hamid, 45, who also asked to be identified only by his first name, said pro-government armed men known as "shabiha'' were targeting Sunnis in the town. The situation in Syria is a disgrace to world powers claiming to stand by the forces of democracy and human rights in the Middle East. Yet there's a reason Syria is taking the West so long, and it's not only the embarrassing lack of media attention. The U.S. and the rest of the West know that a Libya-style attack on Syria is an indirect attack on Iran. That's not to say it won't happen -- but the West needs to have its guarantees that it is ready for such a confrontation. Stay tuned for allusions to Iran as the dark side of the Middle East in Obama's upcoming speech, and be sure that Palestinians are not the only, and not even the top issue on the Bibi-Barack table in Washington this week. Thousands of Syrians broke through the fence along the border and infiltrated into Israel on Sunday as part of a day of declared hatred against Israel across the Arab world. Channel 2 reported four Syrians were killed after the IDF opened fire to prevent a mass invasion. According to Arab media reports, the number of Syrians killed in border clashes has risen to ten. The IDF has reported rioting in the Druze village of Majdal Shams by infiltrators on the Israeli side of the border. The injured also received medical care in Israeli hospitals. Later Sunday the group of Syrian infiltrators are reported to have left the village returned to Syria. IDF sources cite that Syria normally guards its border with Israel with great care, and that today's infiltration is a deliberate attempt by the Assad regime to divert attention from the suppression of protests in other parts of Syria. In a separate shooting incident, five people were killed near Maroun a-Ras across the Lebanese border, where Hezbollah supporters tried to approach the border fence with Israel. Some or all of the deaths are from Lebanese army fire shot after the crowd proceeded to storm the border. In response to the situation along the northern border, Israeli police mobilized special units to the North, and Northern police heads are meeting with IDF officials to evaluate the situation.The U.N. has called for calm along the Lebanese border. UPDATE (18:22): Lebanese security forces are now reporting that 10 people have been killed and over 100 have been injured in border clashes. During the day 36 Palestinians were arrested for acts of violence around Jerusalem. On Sunday evening unrest persisted only in Kalandia, where since the morning thousands of Palestinians took to the streets and threw rocks on Israeli police in what was meant to be a peaceful protest. Israeli police responded with rubber bullets only. See here for pictures of Palestinians using an ambulance as a guise for a vehicle from which to throw rocks. During the day, one Israeli was killed in a terror attack perpetrated by an Israeli Arab truck driver in Tel Aviv. Four Israeli police officers were wounded in incidents around Jerusalem, and thirteen police officers and soldiers were wounded along the Syrian and Lebanese borders. the right hand of the Lord deals valiantly. The right hand of the Lord is exalted; the right hand of the Lord deals valiantly. I shall not die but I shall live and tell the deeds of God. On Sunday morning, an Israeli Arab truck driver went on a killing rampage, driving head-on into traffic on a busy street in Tel Aviv, crashing into a bus, a number of cars, motorcycles and pedestrians in what police believe is a terror attack. One person was killed and 31 people were injured in the attack, which occurred at 9:35, towards the end of rush hour on Bar Lev St. near the Mesubim junction. According to reports, the driver attempted to drive into a gate of a school, but miraculously no children were in the yard at that time. In 2008, a Palestinian tractor driver drove his bulldozer into a passenger bus on Jaffa St., killing three people and injuring dozens. In the 2008 incident, the killer was an Arab resident of East Jerusalem. In today's attack, the suspect arrested is from Kfar Kassem, an city next to Tel Aviv whose residents are citizens of Israel, enjoying full political, economic and social rights. Yet what conclusion is to be drawn from such events? Arab residents of Israel benefit from Israel's open society, earning truck licenses in Israeli training programs and working for Israeli companies and making a livelihood from Israel's open economy...until one day, they decide to drive their bulldozer into a busy Israeli street, taking revenge at the very society that provided them with opportunities? The illusion of 'Arab Israelis' or 'Palestinian residents of Jerusalem' living peacefully side-by-side with Jews has died long ago along with the victims of such attacks. Arab residents of Israel are our enemies' messengers in the system, awaiting the day when they can use the rights Israeli society provides them to strike at us from within. It is high time the police view on these populations as just as dangerous--as evidenced by this bloody attack--as our declared enemies beyond our borders. Meanwhile, the northern border between Israel and Lebanon was declared a closed military zone Sunday, as thousands of Lebanese supporters of Hezbollah are expected gather en masse at the border with Israel. The terror attack in Tel Aviv and Hezbollah activity along the border are part of a proclaimed day of hatred against Israel, widely publicized on social networking sites across the Arab world. On Sunday, a man with a Yemeni passport ran towards the front of the plane 20 minutes before landing and began yelling and banging on the cockpit door. Passengers report the man, identified as Rageh Almurisi, 28, yelled "God is great" in Arabic. Almurisi was subsequently tackled to the ground by a flight attendant, with help from a former Secret Service agent and retired police officer who happened to be on-board American Airlines flight 1561 from Chicago to San Francisco. Larry Wright, the ex-cop who took him down, said he was sure Almurisi intended to crash the plane. Still, others prefer to believe he mistook the cockpit for the bathroom. Almurisi now faces one count of interfering with a flight crew, a charge that could lead to up to a maximum of 20 years in prison. On Friday the court will decide if he can be released on bail. On Sunday there were two other incidents of flight security scares. A continental flight from Houston to Chicago was forced to land in St. Lois after an Illinois man tried to open a door near the front of the plane. And a Delta flight from Detroit to San Diego was diverted to Albuquerque because of a "security threat". Meanwhile, in an similar vein, flights landing in or departing from Tel Aviv were diverted to Cyprus or Jordan after Israeli fuel supplies were found to be contaminated by bacteria. If I were a conspiracy theorist, I would say that governments are trying to scare passengers and thereby reduce the frequency of air travel, as a result of rising oil prices worldwide, in the wake of Middle East unrest and the uncertainty regarding the future of Libya's oil. One way or another, these days, a safe flight is not to be taken for granted. Of course these incidents could very well be the first wave of revenge after the killing of Osama bin Laden last week. It is yet to be told if global terror will surge or subside in the wake of bin Laden's takeout. According to Rav Moshe Wolfson of Yeshivat Torah V'Daas brought to us by Rabbi Lazer Brody, bin Laden's fall signals the immanent fall of Yishmael. And the fall of Yishmael signals the approaching redemption, hinted to by the fact that bin Laden died on the last day of what will be Pesach Moshiach--the seven days of rejoicing that will be added on to Passover to celebrate the miracles of our final redemption. On Sunday, Iran's first-ever nuclear power plant near the gulfside city of Bushehr began fuel consumption for the first time since construction began in 1975. The Bushehr plant was started in 1975 by German contractors, but construction was brought to a halt after Iran's Islamic Revolution in 1979. In 1995, the Russia began to oversee resumed construction of the plant. Iran boasts that the plant is quake-proof and will not experience a situation similar to that of the Daichi plant in Fukushima, Japan. Yet only three days ago, before the plant began to operate, the French ambassador to the International Atomic Energy Agency, Florence Mangin, expressed concern regarding the Bushehr plant in the context of global nuclear security. According to Mangin, Iran is unwilling to adhere to key conventions regarding nuclear activities. On Sunday, a cooling pump shattered at the Bushehr plant, forcing a shutdown during its initial start-up phase. According to Mark Hibbs, an expert on Iranian nuclear issues at the Carnegie Endowment for World Peace, the pump failure “raises questions about the decisions the Russians made to move forward with emergency coolant system that’s 30 years old." According to Bloomberg, experts' safety concerns hinge on the plant's hybrid design, Iran's reluctance to join international safety monitoring programs, and the unknown reliability of some of the original components. According to Bill Horak, chariman of the nuclear cience and technology department at Brookhaven National Library in New York, Russians used old parts supplied by the Germans in the 1970's in order to cut costs on the plant's construction. Countries concerned in particular about the plant's safety include Kuwait and Saudi Arabia, who would be affected within hours of a potential radiation leak at Bushehr, according to the Kuwait Center for Strategic studies. Long-term contamination in the Gulf could prove fatal, as gulf states rely on desalinated freshwater for their water needs. In the present situation, surrounding countries are forced to count on shaky Iranian promises and Russian certification. According to Moscow Defense Brief, the US viewed Russia's involvement in Bushehr as indirect support for the Iranian nuclear arms program, and until 2005 Washington exerted significant pressure on Russia to stop the project and urged other countries to ban their companies from taking part. Yet in 2005, after Moscow and Tehran signed a deal under which spent fuel would be returned to Russia, the US lifted its opposition. Under the arrangement, Russia provides the nuclear fuel from the plant and Russian experts will run the plant for several years. An official launch ceremony for the plant was held in August of last year. After the launch ceremony, the former head of Pakistan's Inter-Services Intelligence--the organization now "interrogating" bin Laden's widows--celebrated the launch, declaring: "Iran's nuclear gains benefit Muslims". In the week leading up to the launch ceremony, US Ambassador to the UN John Bolton warned that Israel only has days to strike the plant, as an attack on the plant after fuel has been delivered would trigger widespread radiation. In the face of vast transitions and political instability taking hold of our region, it is only our fortitude and willingness to sacrifice that which is most precious to us that enables the continued existence of the State of Israel. Throughout the years, we have extended a hand of peace to our neighbors, but in most cases we returned empty-handed. We must try to pursue the path of peace, but at the same time we must be prepared for an nearing confrontation with our enemies. May we soon see the day when Israel can dwell in peace among the nations. On Sunday, Syrian security forces tanks intensified suppression of anti-Assad demonstrations, including at one all-female protest, in which four women were shot dead. A senior Western diplomat quoted in the guardian said Iran is advising Assad on how to crush dissent, citing an increase in the number of Iranian personnel present in Syria since protests began. Tactics similar to those used by Iran include door-to-door raids, which have increased in past weeks, and blocking mobile and communications and internet service. According to the diplomat's assessment, Iran is concerned about losing its most important ally in the Arab world, and its conduit for supplying weapons to Hezbollah. Syria's population is 75% Sunni, while the ruling Assad family hails from the Shia minority. Iran's regime is the bastion of Shia Islam in the Arab world. Over 800 people have been killed since demonstrations began in mid-March. So far, the US and European Union have enacted sanctions on Syrian leaders but have refrained from calling for Assad to step down. Foreign media have been banned from the country. Two explosions were reported late Sunday in the vicinity of bin Laden's compound in Abbottabad, Pakistan. Some say the house was demolished by Pakistani authorities to prevent the house from becoming a shrine (same explanation as the sea burial). Egyptian mother, Palestinian father? You're Egyptian! Egyptian Interior Minister Mansour al-Issawi announced last week that Egypt will grant citizenship to children of Egyptian women married to Palestinian men. Previously, the Egyptian nationality law permitting Egyptian mothers to pass on Egyptian citizenship featured an amendment to exclude Palestinians. In 1957, the Arab League pressured Arab states to withhold citizenship from Palestinians, supposedly to protect their national identity. According to Tasir Khaled, head of the Palestinian Authority's expatriate department, Egypt is home to 100,000 Palestinians, many of whom moved prior to the 1948 war. Many in Egypt hail the decision as an end to discrimination against persons of Palestinian descent in Egypt, while others see it as a victory for women's rights. Under the previous law, children of Palestinian women married to Egyptian men were granted Egyptian citizenship. The Kuwaiti daily El-Siyassa reports that Hezbollah chief Hassan Nasrallah has changed his personal security arrangement and location in Southern Lebanon to avoid a potential US assassination, in the wake of the bin Laden raid in Pakistan on Sunday. According to the paper, Western intelligence officials have considered taking out Nasrallah to weaken global terrorist infrastructure and Iranian influence in the region. The elimination of Nasrallah would mean the end of Hezbollah, sources say. Prior to the bin Laden raid, Pakistani-U.S. relations were strained after an escalation in U.S. air strikes on Taliban strongholds along the Pakistani-Afghan border, in which Pakistani civilian casualties were not uncommon. In April, Pakistani Army Chief General Ashqaf Kayani ordered the U.S. to stop the use of drones and expel troops from the country. The U.S. was caught in a quagmire: On the one hand, the war Afghanistan could not be won without monitoring the Pakistani-Afghan border--as evidenced by the site of bin Laden's hideout in Abbottabad, Pakistan. On the other hand, Pakistan is a sovereign country, whose goodwill and cooperation was essential to U.S. counterterrorism efforts in Pakistan proper. According to the UK Daily Mail, the bin Laden raid was directly preceded by a string of visits of US officials and senior generals to Pakistan to discuss growing tensions. One week prior to the raid, U.S. General David Petraeus and his Pakistani counterpart met in a heavily guarded airbase in Pakistan. After the meeting, the US embassy lauded the generals' relationship. Some say Petraeus informed Kayani of the raid, explaining why despite the anger and emberassment of Pakistani politicians, no military response against the U.S. has surfaced. What did the U.S. and Pakistan have to gain from a bin Laden kill (or, for the skeptics out there--a bin Laden kill story)? On Thursday, Pakistan's army decided to reduce US troops in the country to the essential minimum. On Friday, the Pentagon offered that it was up to Pakistan whether US troops would remain there or not. With the backdrop of growing unrest in the Arab world, the U.S. military is now strained on three fronts, none of which appear to lead to victory: Iraq, Afghanistan, and Libya. The war in Afghanistan was launched to capture bin Laden and destory al-Qaeda in Afghanistan. Bin Laden's gone, and much of al-Qaeda's infrastructure in Afghanistan has been long gone. In fact, many say the effect of the Afghan war has been none other than to relocate Al-Qaeda to Yemen. The U.S. needs to free up its military resources -- personnel, technology and funds -- to deal with the Arab front. Libya may not be in the current interest of the American public, but it will become increasingly that the Arab street cannot solve its problems on its own, and that unchecked unrest will open the gates of Yemen's Al Qaeda camps to surrounding countries--and no American wants another 9/11. Yesterday in Syria, 36 protesters were killed. Today, tanks entered one Syrian town and cut off phone and electricity as punishment to demonstrators. According to Hilal Khasha, professor of political Science at American University in Beirut, “A collapse of the Syrian regime is a doomsday scenario for the entire Middle East.’’ Civil war in Syria could spread to Lebanon, Iraq, Saudi Arabia, and worse--and the U.S. knows it needs to influence the outcome. After Libya, Obama and his aides learned the hard way how reluctant the American public and Congress are to start a third front. Future interventions could only be successful if one of the lingering fronts bore some fruit -- and what better fruit than Enemy of the State par excellence? The problem is, the war in Afghanistan may be an insurmountable challenge for U.S. ground troops, but it cannot be so easily abandoned. Days after the bin Laden raid, the Taliban carried out a coordinated attack involving six suicide bombers who took over an Afghani governor's office. Not quite the environment for the U.S. to slip out the back door. However, that may be just what the U.S. has to do. Afghanistan and Pakistan will need to be monitored, but the question is whether U.S. troops are the ones to do the job. In an ideal U.S. world, Pakistan will cooperate with U.S. officials in counter-terrorism efforts, and NATO will clean up the post-bin Laden damage Afghanistan. Meanwhile, the U.S. can claim a victory in the war on terror, instill in the minds of Americans that wars are successful and necessary, and move on to far greater threats. 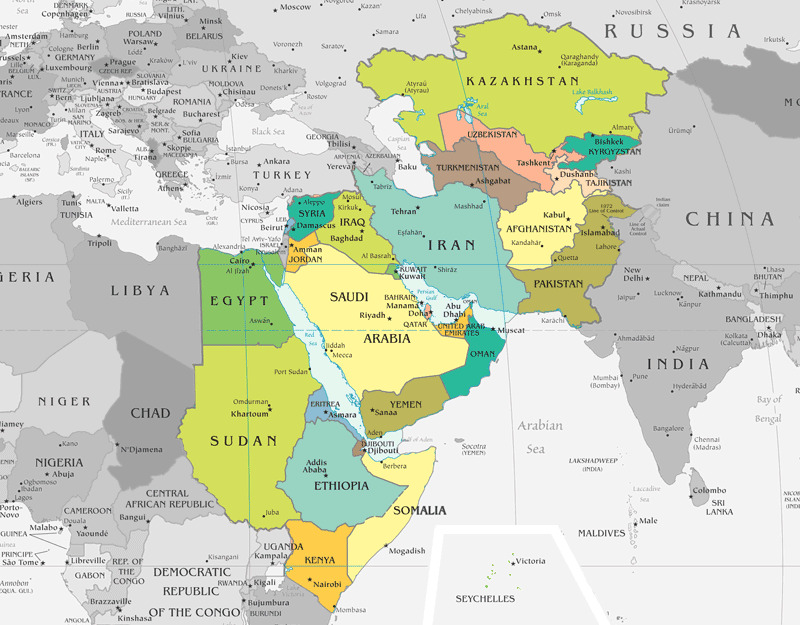 The U.S. needs to find the right balance between respecting Arab sovereignty and not alienating the moderate Arab public on the one hand, and soliciting Arab support in the war on terror on the other. The backroom conversations leading up to the bin Laden raid represent what may have been the first success of this new strategy. Let's hope that the U.S. finds the levelheaded generals and politicians westward to empower regimes who share an interest in squelching Iran and al-Qaeda. The moderate Arab world may not be Israel's best friend, but right now, they are their worst enemy's enemy. Air traffic at Israel's major airport halted on Thursday after the airport's jet fuel supply was found to be contaminated. Chaos at Ben Gurion ensued on the eve of Israel's Independence Day Weekend, and as thousands of Israeli basketball fans were scheduled to fly to Barcelona to watch Maccabi Tel Aviv compete in the Final Four. Walla! reported that 1600 people were stranded at Ben Gurion, and El Al canceled 20 flights. On Friday morning, flights resumed after army tankers hauled jet fuel to the airport from emergency reserves at Pi Gillot. Planes were given enough emergency fuel to reach Cyprus or Jordan, and then fully fuel from the intermediary airports. On Thursday Transportation Minister arrived himself at Ben Gurion airport, emphasizing the gravity of the crisis, and declared that "a serious problem has been discovered." Former head of the Civil Aviation Authority Neri Yarkoni, who happened to be stuck in New York as a result of the fuel crisis, said that the current fuel troubles were a "serious and abnormal incident of international proportions of which no incident that I recall can equal" and that "only after the reason for the contamination is discovered will it be possible to know what brought it on and was it possible to have avoided it, including the legal consequences over the huge damages in addition to personal conclusions." He added that "if anyone in a position of authority knew anything about the contamination and remained silent, this incident is criminal." The decision to ground all planes at Ben Gurion followed a malfunction in an Arkia plane on Thursday. Paz Aviation, one of Israel's major fuel providers, said Thursday that an unidentified oily substance in the fueling terminals caused the contamination. The Institute of Energy and Environment have not been able to identify the substance and ruled that it may be a hazardous material, according to YNet. According to one fuel provider employee, the problem was originally detected over a week ago, but the issue was kept quiet for financial reasons. As a result, the substance accumulated and clogged planes' fuel filters all week. The implications of this process are deadly, as clogged fuel filters can cause a plane to crash (God forbid). What's more, the symptoms of contaminated jet fuel which halted flights out of Ben Gurion were seen in recent weeks in buses and trucks across Israel as well. Contaminated fuel contains unidentified greasy liquid parts which get stuck in gas pipeline filters, causing damage to vehicle tanks. Several days ago, the biological institute in Nes Tziona was summoned to take samples at a central Israel fuel terminal. Fuel filters containing samples of the unidentified oily substance are now undergoing special chemical testing in Germany. If results show that the substance is dangerous, Israel will need to clean all fuel storage and transfer systems, a procedure which could take days. UPDATE: The German lab has refused to conduct tests on the jet fuel thought to be contaminated, citing that they only deal with military matters and do not conduct tests for Israel. Meanwhile, an Israeli air force kit was used to test the fuel, and no dangerous elements were detected. On Saturday, Cyprus media reported that Tel Aviv-bound flights continued to be rerouted to Cyprus for refueling. A total of 42 planes have come to Cyprus, and a number of airlines in the U.S., Israel and Europe have been affected. The manager of Hermes airport predicted that planes would continue to land in Cyprus on Saturday as well. Investigation into the source of the contamination occurs on the backdrop of the U.S. assassination of Osama bin Laden, and a week before calls to invade Israel on May 15th put out by Palestinians and their adherents. The UK Daily Mail is the first publication to consider terrorism, stating "It was unclear when flights would resume and there are questions over whether or not the incident was linked to terrorism." It also considers the proximity of the crisis to Wednesday's Fatah-Hamas peace deal. In a small, makeshift synagogue not far from the Twin Towers, Orthodox Jewish professionals regularly meet early each morning for daily prayer services. Usually there is no problem rounding up a minyan (quorum of ten men required to pray) and the cramped quarters often overflow with worshipers. But on the morning of September 11th, there was an uncommon dearth of available men. Perhaps they had decided to remain that morning at their resident shuls for the important selichos services that precede the High Holidays. Or, perhaps, they were participating in the shloshim (one month anniversary) memorial services for the Jews who had been killed in the Grand Canyon helicopter crash. Two hundred men who worked in the World Trade Center, were, in fact, late to work that morning because of their participation in the shloshim service. But whatever the reason, the congregants were faced with a problem: only nine men were present, and time was marching on. These were serious men, professionals, and all had to be at their desks at the World Trade Center well before 9:00 a.m. The men waited, restless and tense. Some of them were already running late. Finally, when they had all but given up and were going to resort to individual prayer (instead of the preferred communal one), an old man whom nobody had ever seen before shuffled in the door. “Did you daven (pray) yet?” he asked, looking at he group. Under normal circumstances, the men would have asked the gentleman polite questions: what was his name, where was he from, how did he come to their obscure shul? By now, however, they were frantic to start and decided to bypass protocol. They hastily handed the man a siddur (prayer book), hoping he would prove himself to be the Speedy Gonzales of daveners (prayers). The old man proved to be anything but. He seemed to rifle the pages of the siddur in agonizingly slow motion. Indeed, every gesture and movement that the man made seemed deliberately unhurried, protracted, and prolonged. The worshipers were respectful but definitely on shpilkes (pins and needles) to get to work. That’s when they heard the first explosion: the horrible blast that would forever shake their souls. They ran outside and saw the smoke, the chaos, the screaming crowds, the apocalypse that lay before them. It should have been us. After the initial shock and horror, consciousness dawned on them quickly. They realized they had been rescued from the jaws of death. Each and every one of them worked in the Twin Towers. Each and every one of them was supposed to be there before nine. Had it not been for the elderly man and his slow-motion schacharis (morning services), they probably would have been killed. They turned to thank him, this mystery man who had saved their lives. They wanted to hug him in effusive gratitude and find out his name and where he had come from on that fateful morning. But they’ll never know the answers to these questions that nag at them to this day-when they turned around to embrace him, the man was gone, his identity forever a mystery. Let's take a step back: Eleven weeks ago, Mubarak was thrown out of office. Now, Egypt is brokering an agreement between the extremist branch of the Muslim Brotherhood, Hamas, and its American-funded brother, Fatah. Why now? Egypt has been trying for over a year to settle differences between Hamas and Fatah. While a split Palestinian leadership has advantages for some, it was not viewed positively by the Mubarak regime. Mubarak, a moderate, did not need an unhindered offshoot of its own banned internal opposition, Hamas, at its doorstep. The Mubarak regime sought a deal between Hamas and Fatah that would essentially bring Hamas under Fatah's control. Now, take Mubarak and pro-American forces out of the government, as transpired in and around Tahrir Square in February. In the black hole which is the Egyptian political sphere, the Muslim Brotherhood is the only well-organized group to lead, whether it's made official or not. Several weeks ago, it was reported that the Brotherhood is likely to capture half, if not more, of the seats in the parliament in upcoming elections. The Muslim Brotherhood is Hamas. Hamas is the offshoot of the Muslim Brotherhood in Gaza. In other words, now that Muslim Brotherhood a la Egypt is in power, there is no more pressure on Hamas to cede concessions in a deal with Fatah. And it's not as if Fatah could care less. Fatah is no more peace-loving than Hamas; it simply chose international funding as opposed to violent struggle, but the goals and values are the same. Fatah has no hard feelings towards reconciling with Hamas--as long as the West thinks the deal leans benefits them. In other words, with Mubarak out of the picture and the Muslim Brotherhood on the rise, Egypt can now serve as an international ally for Hamas, and Fatah has no problem joining in on the party--as long as the disguise keeps dollars and euros flowing in through the back door. Fatah and Hamas may have overcome some of their differences, but not all: At the unity agreement signing ceremony in Cairo on Wednesday, a dispute broke out over whether Hamas leader Khaled Mashaal should sit along with Abbas on the podium, or below among other delegates. The (alleged) text of the unity agreement has been made available by the Ramallah-based NGO Palestine Monitor. A considerable number of Israeli warplanes were seen at al-Asad base in Iraq, reported a source close to prominent Iraqi cleric Muqtada al-Sader's group. The aircraft reportedly included F-15, F-16, F-18, F-22, and KC-10 jet fighters. The warplanes carried out their week-long exercises at nights, the same source added. Iraqi officials had not been notified of the exercises, which were conducted in collaboration with the US military. The United States maintains numerous bases in Iraq, and the Baghdad government is not involved in any of the military deployments taking place there. Israel said it had no knowledge of such a strike plan and Iraq's air force commander denied the Iranian report...An Israeli army spokeswoman said she had no knowledge of any such report and said the military did not comment on operational matters. Iraqi air force commander Staff Lieutenant General Anwar Ahmed rejected the report as "groundless". "The al-Asad base (mentioned by Press TV) exists on Iraqi territory. We can never accept launching any military attack against any of the neighboring countries, whether Iran or any other country, from Iraqi lands," he told Reuters. If we do get around to bombing Iran, can we please call it Operation Arak? If a person dies on a ship and if there is no fear of the decay of the dead body and if there is no problem in retaining it for sometime on the ship, it should be kept on it and buried in the ground after reaching the land. Otherwise, after giving Ghusl, Hunut, Kafan and Namaz-e-Mayyit it should be lowered into the sea in a vessel of clay or with a weight tied to its feet. And as far as possible it should not be lowered at a point where it is eaten up immediately by the sea predators. If it is feared that an enemy may dig up the grave and exhume the dead body and amputate its ears or nose or other limbs, it should be lowered into sea, if possible, as stated in the foregoing rule. If the goal here is respecting Muslim burial law, which in itself is quite spurious, why rush to meet the 24-hour deadline, and yet break another considerably even more serious guideline, namely, to bury the dead in the ground? Falling back on an American public both glaringly ignorant on Islam and yet apologetically obsequious to Muslim sensitivities, this administration seems quite eager to bury something or other. Revolution in the Arab world is just getting started. In Libya, a NATO airstrike killed Qaddafi's son and grandchild, drawing criticism from Russia for going beyond the U.N. mandate. And yesterday in Daraa, Syrian troops were ordered to use "any means necessary" to crush the rebellion against President Bashar Assad. Meanwhile, Egypt's new justice minister has determined that Mubarak's wealth derived from profits from the country's gas deal with Israel. Sheikh Raed Salah, leader of the northern branch of the Israel Islamic Movement, said Sunday that the revolutions in Arab countries are the preliminary phase of the liberation of Jerusalem from what he called "the occupation". Speaking to reporters following a visit to Jordan on Friday, Sheikh Salah said that the government changes in Tunisia, Egypt and other countries came from the will of the people must be channeled against Israel, noting that the revolutions had returned the issue of Jerusalem and the Al-Aksa mosque to their natural place. Salah went to Jordan to take part in an event commemorating the 7th century C.E. conquest of Jerusalem by Caliph Omar ibn Al-Khattab, the namesake of the Mosque of Omar on the Temple Mount, whose conquest went as far as Egypt, Syria and Iraq. Salah said Omar's conquests should not just be celebrated but should be remembered to bring about a new reality. Jerusalem, in all its glory, is no more than a pawn in Islam's struggle against the presence of Jews in the land of Israel. For anyone who needs a refresher on the true place of Jerusalem in Muslim tradition, here is The Video They Don't Want the World to See (via Shirat Devorah). The Supreme Court has agreed to hear an appeal over whether Jeruslaem-born Menchem Zivotofsky can have Israel listed as his birthplace on his passport, after State Department officials refused to recognize Jerusalem as part of Israel on his official documentation. 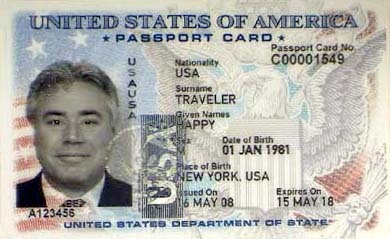 According to the State Department's guide, consular officials are instructed: officials, "For a person born in Jerusalem, write Jerusalem as the place of birth in the passport." The Zivotofskys' attorney Nathan Lewin told JTA on Monday that "We are gratified that the Supreme Court added the ultimate question whether the passport designation truly interferes with the President's power over foreign relations." In 1995, Congress ruled that the U.S. should recognize a united Jerusalem as Israel's capital, and provisions were voted in allowing Americans born in Jerusalem to have Israel listed as their birthplace. Yet shortly after, George W. Bush issued a statement overruling Congress and dictating that "U.S. policy regarding Jerusalem has not changed." As a result, 9-year-old Menachem's birth certificate lists his birthplace as 'Jerusalem', in contrast to births in other countries which list the country, rather than city. Obama has thus far upheld the Bush administration's overruling of Congress' decision in favor of a purposefully ambiguous and non-committal policy on Jerusalem, essentially promoting Palestinian lunacy and surrealism, which does anything but set the stage for peace. And so, while Obama effectively distorts the accuracy of 9-year old Menachem's birth certificate, he cannot even present the world with his own. The first Kaliver Rebbe, Rabbi Yitzchak Isaac of Kaliv, Hungary (1744-1828), was known as the "Sweet Singer of Israel". Rabbi Yitzchak Isaac was discovered by Rabbi Aryeh Leib ben Sarah, a disciple of the Baal Shem Tov, and one of the 36 hidden righteous people of his generation. Rabbi Leib first met Rabbi Isaac when he was a small shepherd boy, and told the boy's mother, a widow, that her son was destined to be a great Tzaddik. Indeed, Rabbi Isaac grew to be a great Rebbe, whose dynasty survived the darkest hour of Jewish history and lives on today with great vitality, emphasizing the power of Jewish unity in the face of our greatest enemies. Rebbe Yitzchak Isaac composed many Hasidic melodies, which were often adapted from Hungarian folk melodies. He told his students that the melodies of his songs were lost treasures from the songs of the Levites at the Holy Temple of Jerusalem, which were lost among the nations over the years and were now being restored to the Jewish people. As proof, his followers recount that the gentile who taught Rebbe a melody would forget it as soon as he learned it. In the video below, the sixth Kaliver Rebbe of Jerusalem, Rabbi Menachem Mendel Taub, may he live long, "Sola Kakas Mar", one of the songs composed by the "Sweet Singer of Israel." The Kaliver Rebbe of Jerusalem, may he live long, is a survivor of Auschwitz and Bergen Belsen, and has gone to great lengths to memorialize the six million martrys and to keep tradition alive among Jews of diverse backgrounds. In 1944, the Rebbe was transported to Auschwitz by the Nazis, arriving three days before Shavuos. From Auschwitz he was transferred to the Warsaw Ghetto and the Breslau concentration camp, and later to Bergen-Belsen. The Rebbe’s prayer was answered. Somehow, the plans were changed, and the Rebbe was spared. The Rebbe kept his promise. He is bringing the unifying message of Shema Yisrael to many. After the war ended, the Rebbe reunited with his wife in Sweden and emigrated to the U.S., where he began his work in memorializing the Holocaust in Cleveland, Ohio. In 1962, the Rebbe moved to Israel, and created the Kiryas Kaliv center in Rishon L'Zion. Since 2004, the Rebbe resides in Jerusalem. During the last 60 years, the rebbe has traveled to millions of Jews throughout the world with the message of Jewish unity that kept him alive in Auschwitz. In Israel, the Rebbe is a key force for Jewish unity, a devout Chasidic Rebbe who reaches out to all diverse segments of the Jewish population, teaching the message of Shma Yisrael to all Jews, regardless of the divisions that blur our vision of Klal Yisroel. May we merit to see the faces of true tzaddikim in our generation, and heed the cry of Jewish unity that had the power to shake Heaven during darkest times of our history, and that will usher us into the brightest. Hen Ga'alti Eschem Acharit K'Vereshit Lihiyos Lachem L'Elohim - I will redeem you, in the end like in the beginning, to be for you Your God. But what a bird is it?